Pokemon Tutorial for Beginners - if you are a beginner paly with Pokemon go, read The tutorial for beginner before you play and win Pokemon Go. 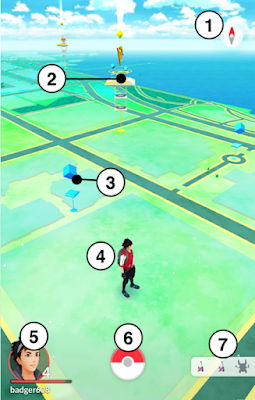 The Map View displays the locations of Pokémon, PokéStops, and Gyms in the real world. The Map View allows for easy zooming and rotating using one finger. To zoom, double-tap and hold near your avatar, and move your finger up and down. To rotate, touch near your avatar and move your finger in a circle around it. Locations where teams train and battle Pokémon. Gyms are special points of interest found throughout the world. You can capture a Gym for your Team and battle the Pokémon of rival Teams there. Gyms can be challenged by multiple Trainers at the same time. Locations where Trainers can acquire items such as Poké Balls, Potions, and/or Eggs. 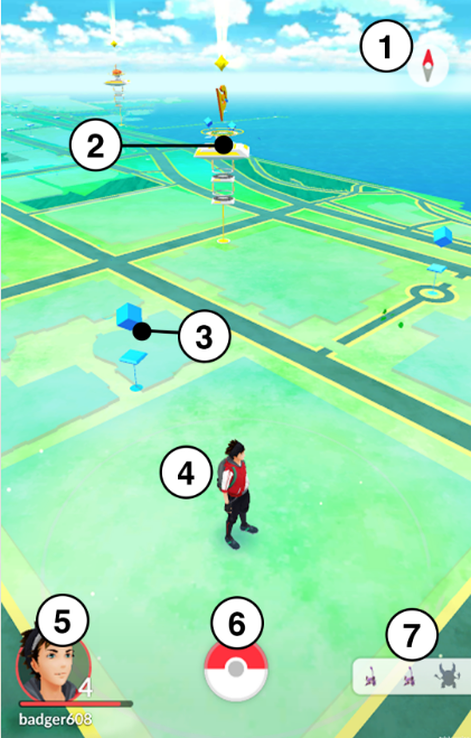 Gather Poké Balls, Potions & Eggs, Visit PokéStops to gather Poké Balls and other items. You’ll find PokéStops in the world near public art, unique architecture, or public gathering places. View your progress, achievements, and medals in your Trainer Profile. In Map View, touch the round Trainer avatar icon. Note: You can’t make changes to your team at this time. How do I find specific Pokémon? It’s best to look for Pokémon near their habitat. For example, if you’re on the beach or at a pier, you’re likely to find Water-type Pokémon. However, if you’re in a desert climate, you would be much less likely to find Water-type Pokémon. You can see the kinds of Pokémon that might be found near your current location by using the Nearby feature. Note that Pokémon already in your Pokédex will appear in color, while those not in your Pokédex will be grayed out. Collaborate with other Trainers to find out exactly where certain Pokémon have been found!